We are focused on an accessible and qualitative service in legal matters: advice, legal aid, redaction and control of legal documents (contracts), mediation , litigation (court procedures and arbitration). We work principally in the area of business law, liability law and employment law. We are working for companies, associations and individuals and as Belgium is situated on the crossroads of Europe we are keen to work for foreign clients. We can offer our services in English, Dutch and French. We handle legal questions and issues in a pragmatic and result oriented manner. 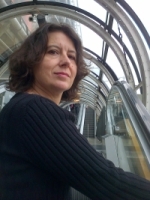 Nathalie Châtel has more than 20 years of experience as a lawyer in Belgium. After working in several Belgian law firms, she started her own independent law firm in 2006. She is also active as a Substitute Judge and as Director of a cooperative company with social purpose. Her domains of expertise include business law, employment law and liability law, litigation and arbitration.